This newly decorated 1,341 sq. 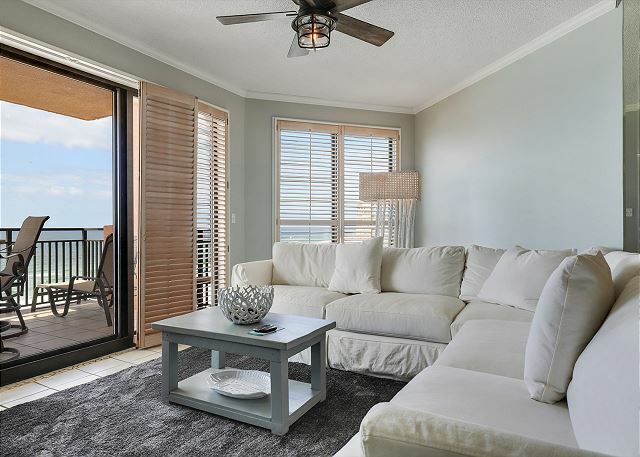 ft. two bedroom, two-bath has direct views of the gulf from the living room and master bedroom. Watch the sun set from the spacious balcony, then sleep in late under the fans with wooden shutters keeping it cozy and dim. Dining in will be a treat in the well-stocked kitchen with stainless steel appliances including granite counter tops and wet bar with a stand-alone icemaker, along with everything you need to make you feel at home. 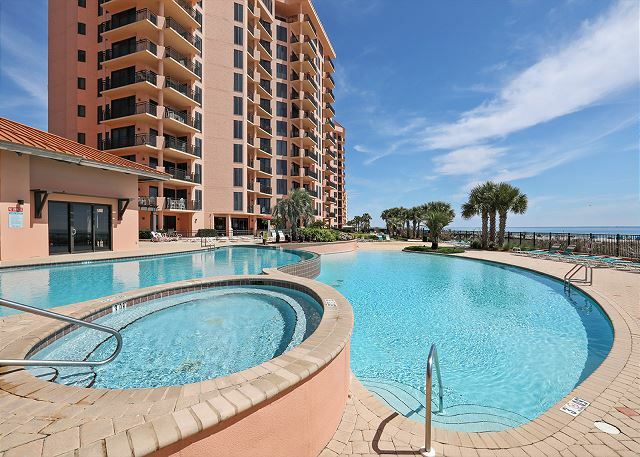 This condo has plenty of space to rest, relax and have fun and is sure to be a renter's favorite. 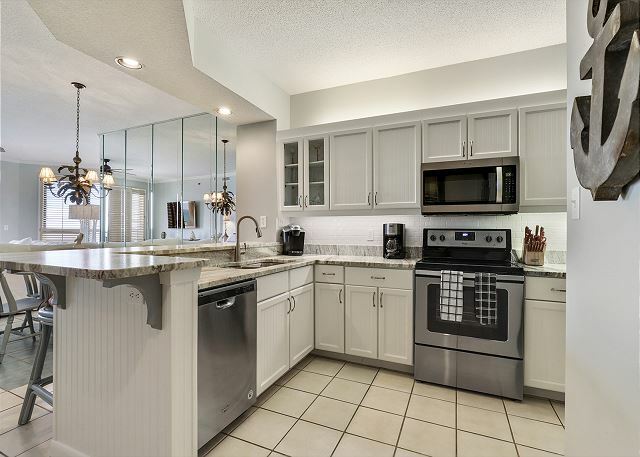 Fully appointed, remodeled kitchen and laundry area with full size washer and dryer. 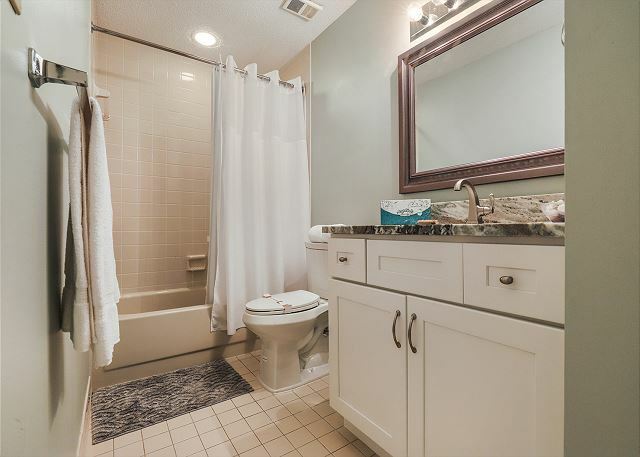 Large master bath with whirlpool tub, separate glass enclosed shower, double vanity and lots of closet space. 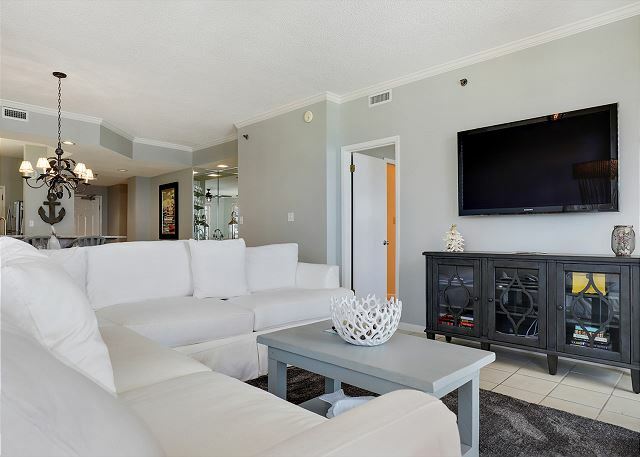 Other features include ceiling fans, flat-screen TVs in every room. We loved our condo! I would highly recommend it!! One thing we didn’t like about the resort was the pools not being heated. Spent a lot of time at the indoor pool! 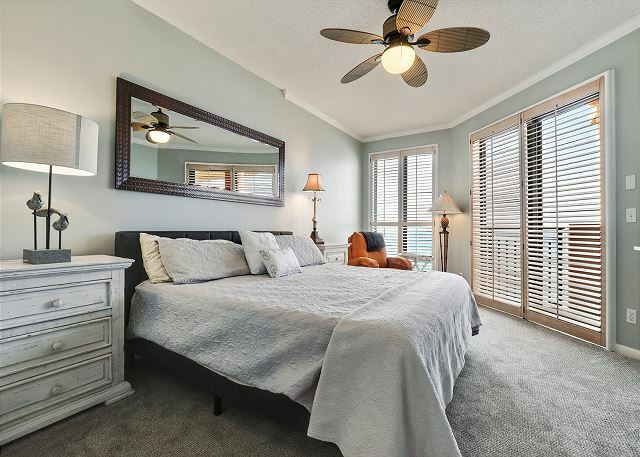 Seachase - Orange Beach, AL is our primary choice for a relaxing vacation place. 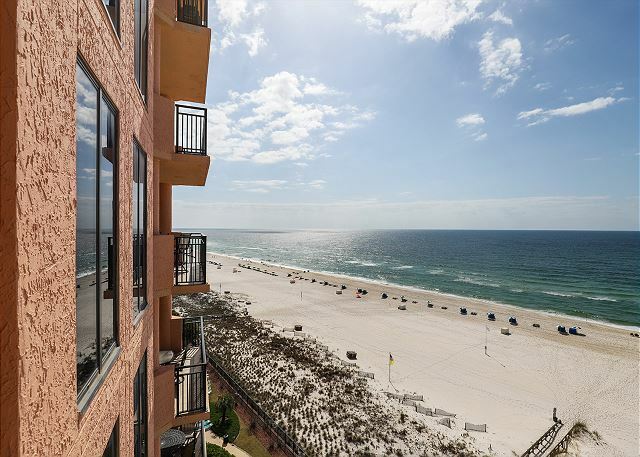 Seachase is located perfectly in Orange Beach. We enjoyed early morning sun raises and seeing the dolphins swim the coast line. Seachase is a well maintain property and has a beautiful landscaping throughout the property. The rental 0904W is a favorite, very well kept, like new and very clean plus it has all the amenities of home. Seachase in Orange Beach is always our first choice. This was one of our shortest stays at Seachase but as always we really enjoyed our stay! The condo was great! We love the views from the west tower. 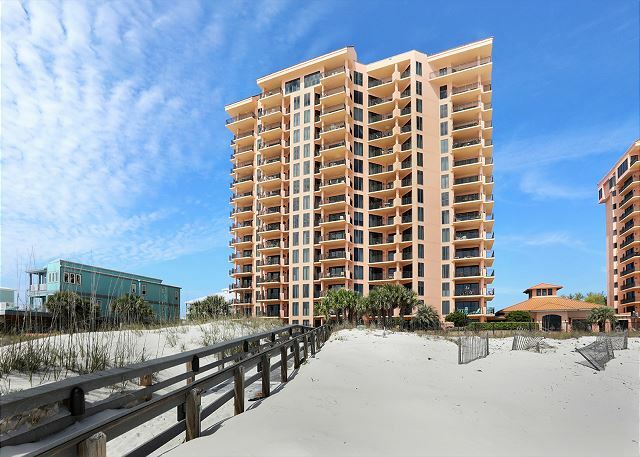 Thank you for choosing the Aronov Gulf Coast team for your SeaChase reservation! We're so glad you enjoyed your stay with us and hope to see you again soon. We have passed your concerns over smoking on the balcony to our homeowner's association. Nice place for family fun! My family recently stayed at this rental for a week. The renovations were great, I felt like I was staying in a brand new space. The beds were comfortable and the property was clean. It was a great space for my family to enjoy the beach - rain or shine. The balcony provides a wonderful, relaxing view of the ocean, the pools on the property were very nice. I would definitely stay in this unit again. visiting local friends and beach time together! This place is amazing! Close to all shopping and restaurants, shopping as you can be. The property itself couldn't be any more relaxing and resort like. I think this is best kept secret in Orange Beach! I will most definitely return to Sea Chase! Thanks for a wonderful stay at the beach! We love our happy guests! Please let us know when you are ready to come back for a visit. We enjoyed our stay at Sea Chase. Expect for the weather it was a very good week. We loved our stay in 904W! Not our first time and love the way the owner has it decorated. It has a "beachy" theme with a beautiful view of the ocean. 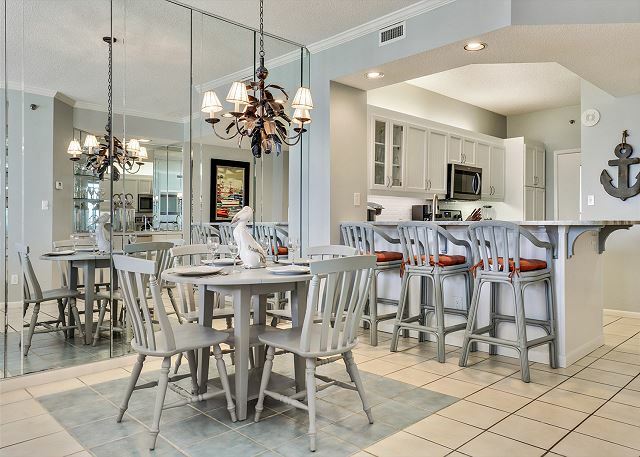 It has everything you need in the kitchen and all is well maintained. 904W is a beautiful unit. 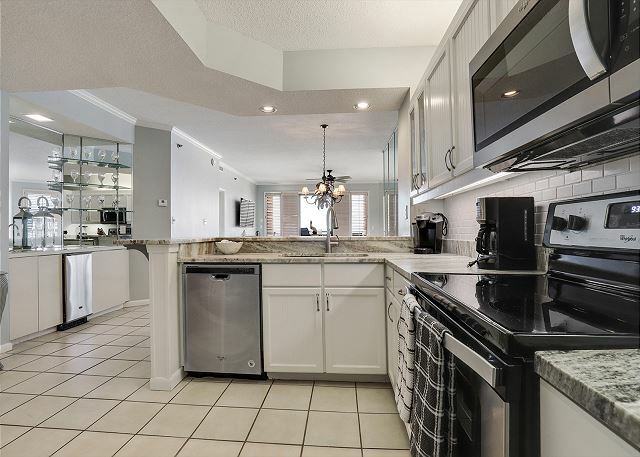 It appears to have been updated recently, the kitchen is well equipped, the master suite is wonderful. We enjoyed our week long stay; couldn't have been more comfortable and relaxing. The staff at Sea Chase were very friendly and helpful; excellent staff!